Creating a beautiful landscape can seem a daunting task, at first. While it isn’t as simple as some articles would have you believe, there are some best practices you can utilize in your design and maintenance to ensure your outdoor space is as beautiful and functional as possible. Below we discuss ten of these. Edge your walkways with brick, pavers, or concrete for a tidier appearance. Utilize faux rocks or other decorative pieces to hide lawn or utility equipment so they don’t disrupt your curb appeal. Colored mulch both adds to your design and serves the function of helping the soil retain moisture. There are a wide variety of available colors, but the most popular ones include red, light brown, dark brown, and black. 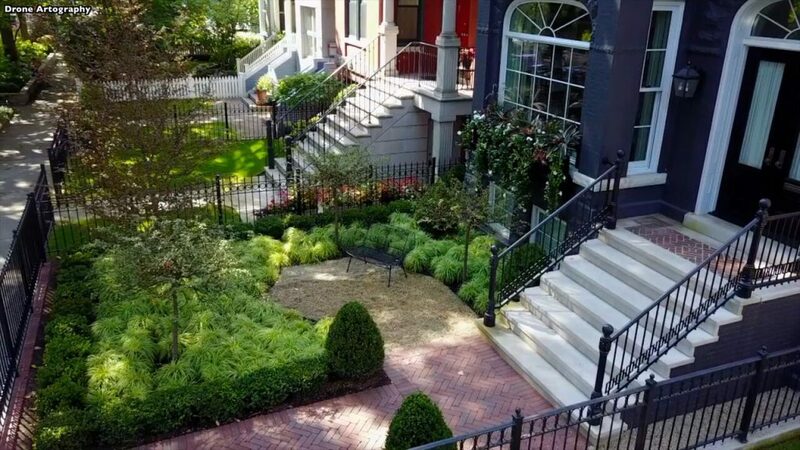 Use a combination of evergreens and seasonal plant life for a pleasing Chicago landscaping year-round. Incorporate hardscape features from the very beginning for a cohesive appearance. This includes walkways, paving stones, etc. Grouping flowers together will draw the eye towards each pairing. Choose groups with varying yet complimenting colors. Choose native plants and flowers. They will both thrive and be easier to keep healthy. Create a gorgeous sitting area with a trellis and climbing plants. Use them to either partially enclose a bench or as a backdrop. Keep the design free of clutter by making use of minimal décor. Of the decorations you use, aim to make most (if not all) blend into the outdoor setting. To attract beautiful, beneficial fauna to your space consider choosing plants with this goal in mind. You may choose to attract bees, butterflies, or birds. A birdbath and feeder will also attract songbirds to your garden. Utilizing these ten tips can allow you to design and maintain a beautiful landscape. The easiest way to do this, of course, is to hire professional Chicago landscaping. For more information on professional services, contact us today.